It’s rare to see 2005-2009 Mustangs at SEMA now that the older body style is a few years old, but that didn’t stop TMI Products from showing off this slick-looking 2005 Mustang GT in their booth this year. It didn’t feel the least bit out of place with its matte blue and gray wrap accented by the Trufiber carbon fiber hood and front splitter as well as the graphite Vossen wheels. The car also features a Flowmaster exhaust system, SSBC brakes, Air Lift suspension system and more. The true purpose of the car was to show off the company’s latest wares, and a peek inside the car revealed some pretty cool new products. TMI’s new Sport XR seats, trimmed in beautiful brown leather and suede, are the main highlight, and the rear seats have been upgraded as well to match. TMI also added suede on the door panels, shift boot, steering wheel and around the instrument panel, and leather now covers the center console storage area. Each of the trim pieces is available from TMI in a variety of colors. 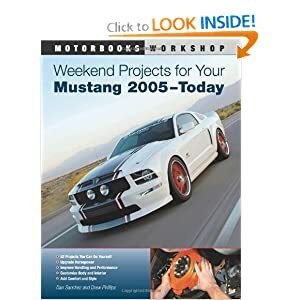 You can see the TMI Products 2005 Ford Mustang in more detail in the gallery below. SEMA 2014: Classic Design Concepts 2015 Ford Mustang "Outlaw"